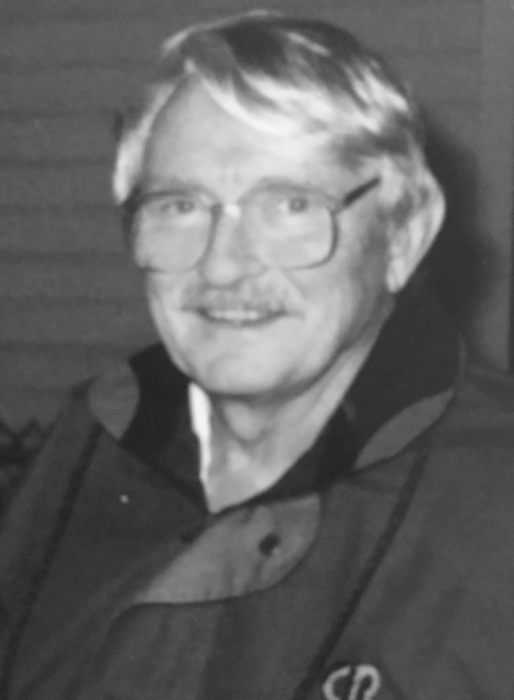 Anthony “Tony” W. Vering age 87, of Elgin, IL passed peacefully on March 15, 2019. Beloved husband of 47 years to Mary Anne nee Stachink; loving father of Anthony "TJ" Vering, and Loree Griffin; brother of Bob Vering; proud grandfather of Connor, Ryan Jacob, Rebecca, Ryan Patrick, and Liam. Preceded in death by his parents, Anton and Tereasa (Bohnert); Uncle of many nieces and nephews. Tony was born and raised in Chicago: he enjoyed cars, boats, photography, traveling with his family, and was an expert skier. He served in the US Navy during the Korean War (stationed HI, Kwajalein), worked as a draftsman and mechanical engineer for the Welch Scientific Company and then Chicago Rawhide (aka CR Industries, SKF) until he retired as a happy grandfather. His quick sense of humor, great stories, incredible patience, and grit will be missed. A memorial visitation will be held Tuesday March 19th from 6-7pm pm, followed by a funeral mass from 7-8pm at St. Thomas More Church 1625 W. Highland Ave Elgin, IL 60123. In lieu of flowers, memorial donations may be made to St. Thomas More Church 1625 W. Highland Ave Elgin, IL 60123.